With our crawlspace services, we remove existing insulation and install certified, formaldehyde-free insulation. Technicians will install the vapor barrier, which goes with the crawlspace insulation. This prevents moisture from damaging your property, and ensures it will last for 15 to 20 years or more. We recommend proper ventilation, and we can even install thermally controlled vents, which close during the winter and open in the summer. This system is mechanical, not electrical. 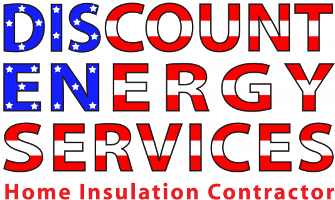 Discount Energy Services in Springfield, Virginia, provides heat resistant foam insulation for attics and crawl spaces, as well as Silver Sheild Radiant Barrier installation to reduce interior air temperatures. When you need insulation contractors Northern Virginia, call Discount Energy Services at (703) 550-0035. Heat resistant foam insulation is good for residential properties since it prevents air infiltration and provides good moisture and sound control. Foam insulation expands in cracks and spaces helping you create a secure seal in your attic space. Our energy conservation specialists provide high-quality foam products. We also can seal any holes around pipes and ducts using heat resistant foam isulation. Insulating your crawl space can be a major factor in saving you money on heating and cooling with keeping outside air out. Adding crawl space insulation can also help seal your home and keep allergens out. Our home insulation contractors can go over the various insulation options if you have a unventilated or ventilated crawl space. We have a number of services that can help prevent moisture coming up from the ground and getting into your crawl space.